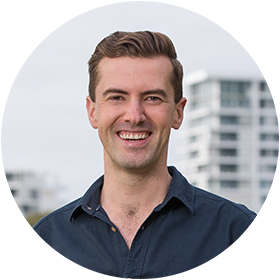 I was elected to the Western Australian Parliament in March 2017, representing the District of Dawesville. The district includes the suburbs of Bouvard, Dawesville, Dudley Park, Erskine, Falcon, Halls Head, Herron & Wannanup. To me, community comes first, which is why I will always fight for Mandurah and make sure that we get the services and funding we deserve in our community. If there is every any issue I can help with or there is anything you want to chat to me about, please don’t hesitate to get in touch via the contact details at the bottom of this page, or via my social media accounts. you are my first priority. If you live in the District of Dawesville or you're a stakeholder in relation to my shadow ministerial responsibilities, I will endeavour to provide you a response as quickly as I can. Please know that I personally reply to every email so at times there may be a slight delay. If the issue is urgent, please contact my office on (08) 9534 3200 or call/text me on 0488 826 536. If your email is part of an automated mass-email campaign, I will note your views and take them into account in my decision-making. However I hope you understand that I am not always able to respond directly due to the large volume of these received. Suite 1/633 Old Coast Road, Falcon. *seriously. We still have a fax machine.